I took several shots of Emily this week, including her back on her sun deck in my office yesterday morning, less than a couple of hours before she went to the vet. As usual, she was grumpy with me for pointing a flash camera at her. I noticed lately that Emily's fur no longer laid as flat. She was still regularly grooming, but we wonder if her illness affected the make up of her fur, or perhaps she wasn't as quite as complete in taking care of herself as she once was. This morning, at the hour of Emily's usual visit, both boys were at my office window watching and listening to the birds. Whitey is still here after an hour. I don't know if Emily would approve, but I do. I just wanted to express my heartfelt sympathy to you and yours at the news of Emily's Passing. It is never an easy decision to end a loved ones life;even one filled with suffering and pain. One always hopes to have made the right choice and to have made the passing as easy as possible. I have gone through many such experiences myself and let me tell you that none has been lightly taken, nor the last easier than the first. It has always been a time of great trepidattion and sadness; but, it must be Human nature that sees us through these sad times and allows us to remember all those silly,playful,loving moments when they were growing from kittenhood to young adult to adult. Memories are indeed precious; never should they be overlooked, no matter how small or insignificant it might be at the time. If I can be any help or solace in your time of sorrow please feel free to contact me! 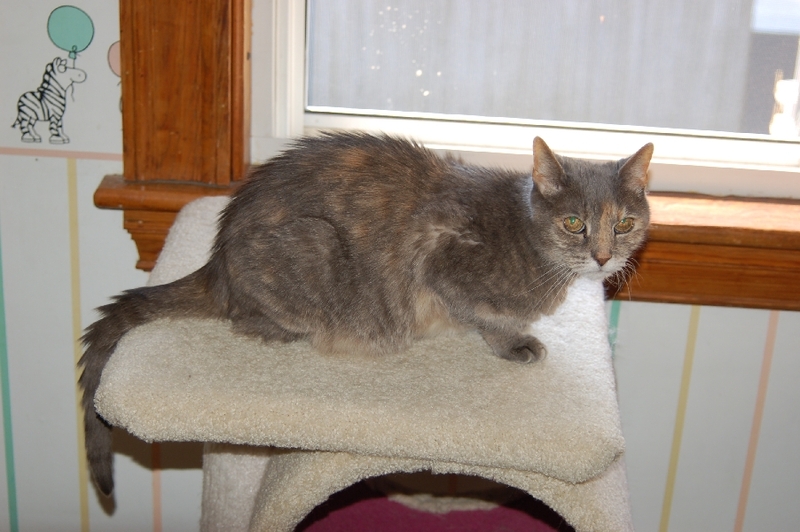 I also volunteer at Second Chance Shelter For Cats in Jamaica Plain; we are a no-kill,all volunteer organization. My family and I specialize in bottle fed Kittens and socialization of Feral kittens. Again I am truly sorry to hear of little Emily and that all goes well for you and yours.